‘You can wipe out an entire generation, you can burn their homes to the ground and somehow they’ll still find their way back. But if you destroy their history, you destroy their achievements and it’s as if they never existed’. I’ve just finished watching ‘The Monuments Men’ tonight, a film about an Allied group from the Monuments, Fine Arts & Archives program given the task of finding and saving pieces of art and other culturally important items stolen and hidden by the Nazis. It’s an interesting film to have watched before starting on this post, a real-life tale which echoes our story in some ways. For we all become less than we once were when separated from our history. By definition, a ‘monument’ is a statue, building, or other structure erected to commemorate a notable person or event and I guess, in a way, that’s what this blog is really all about. It’s one thing knowing the full story behind a situation, but quite another thing entirely to be able to ensure the facts are heard by others and remembered in the future. So, yes, on that front, what a difference a year makes. 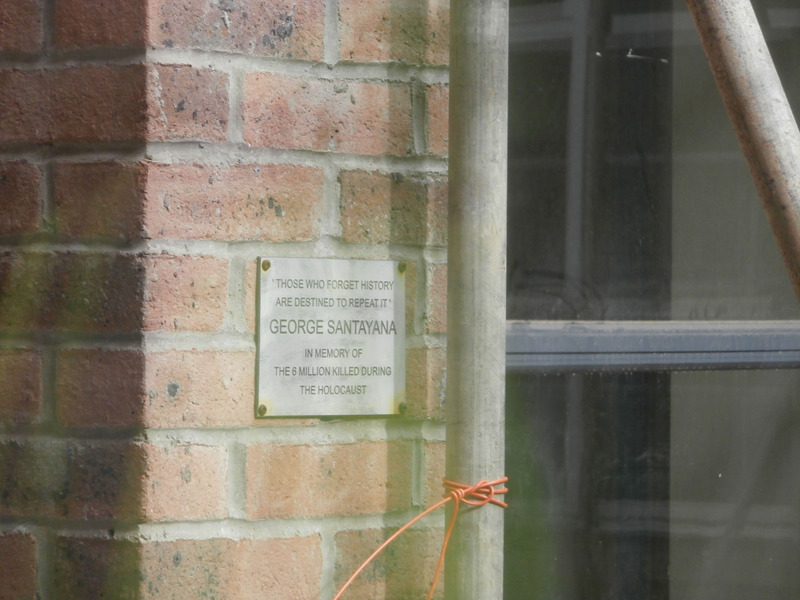 The Church High Holocaust Memorial plaque is still in place in the Courtyard, unlike the Centenary Plaque (top of post): the one CH monument that, very sadly, ‘got away from me’. After a long while spent thinking about the best way to pass on my knowledge, the HighTimes blog finally went live in October 2016. It wasn’t all plain sailing though. About 9 posts in, we hit a problem with the hosting company’s back-up service and everything was lost. Yes, everything. Absolutely soul destroying and migraine-inducing at the time, but I am made of strong stuff. If something is worth doing, it’s worth doing right and I’m a firm advocate of Robert the Bruce and his spider: ‘If at first you don’t succeed, try, try again.’ So we sourced a new provider and pieced together the original posts from the cache memories of various hand-held devices. Naively believing in the back-up, I hadn’t kept copies. An elementary error, I know. I do my own back-ups now. Anyway, that’s why the first post is now dated 14th November. But, on the plus side, starting over again allowed me to change the name to an easier one to remember. My first advertising ‘flyer’ for the blog, made by Conal Stamp. As with all new ventures, it took a while for ‘the word to get out.’ I had a small following of dear friends (largely ex-Church High staff) who were very supportive and who I knew, via verbal feedback, were reading my early posts. However, at the start, I really was just writing for myself – because I felt driven to put things on record. The interest of guys on site, intrigued by my weekly visits and what I was doing with the photos, gave the blog an unexpected boost. 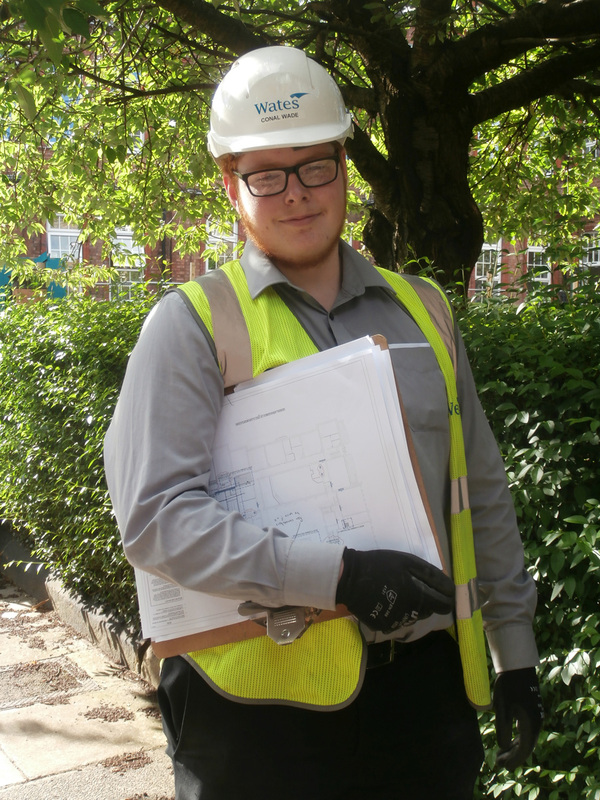 Conal Stamp created a flyer and emailed to ask if it was okay for Wates to display it in Westwood and in places key around site. 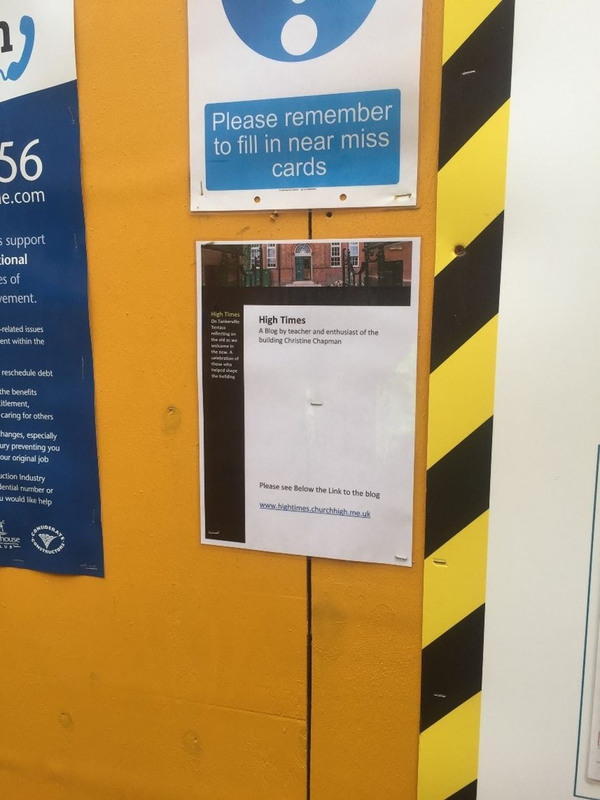 One of Conal’s flyers displaying the blog link was affixed to the workers’ turnstile site entrance, here photographed by Giuseppe. 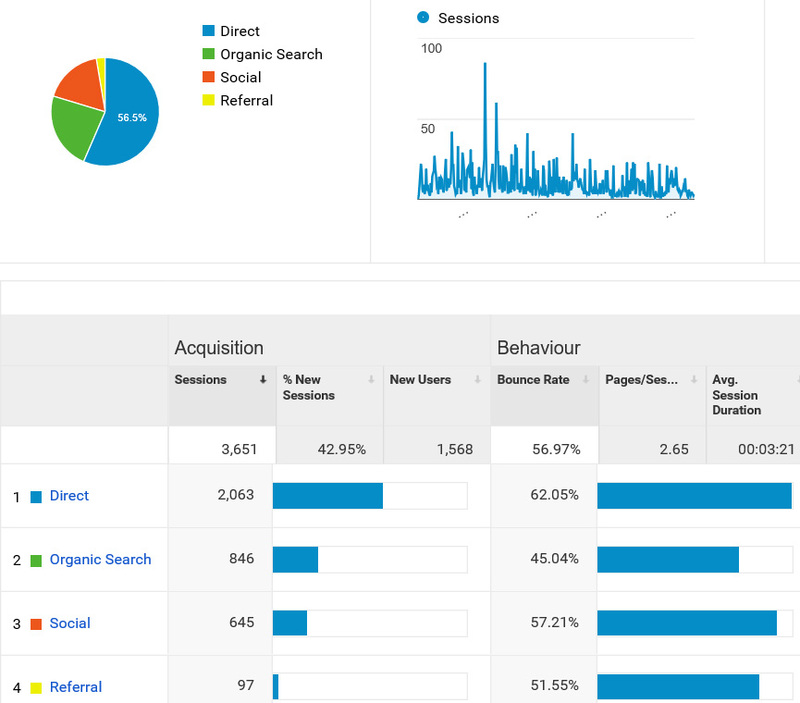 Since January 27th 2016, we have had Google Analytics on the blog which totally revolutionised my writing experience. It’s so much more rewarding knowing you’re not just talking to yourself in the dark and endlessly fascinating to be able to track where and when people are reading it. It’s only a little, niche interest blog, so I wasn’t prepared for just how much it would eventually be read and also in so many far-flung places about the globe. One year on, I can tell you there hasn’t been one day where either the blog or website hasn’t been looked at by someone, somewhere in the world – which is truly amazing. I have the NHSG Church High Alumnae Association, LinkedIn, Twitter, Facebook, EWA & WordPress notifications to thank for this, of course, as well as old-fashioned word of mouth. To celebrate, on January 27th 2017 we took the following screenshots. Number of sessions, users & page views in the last 365 days. The time-line on the screenshot above shows the constant activity over the course of the last year and, to save you from having to squint, the following site user information. Across the 365 days, the whole site (High Times blog & Heritage website) was accessed for 3,651 separate viewing sessions by 1,568 users totting up 9,682 individual page views. 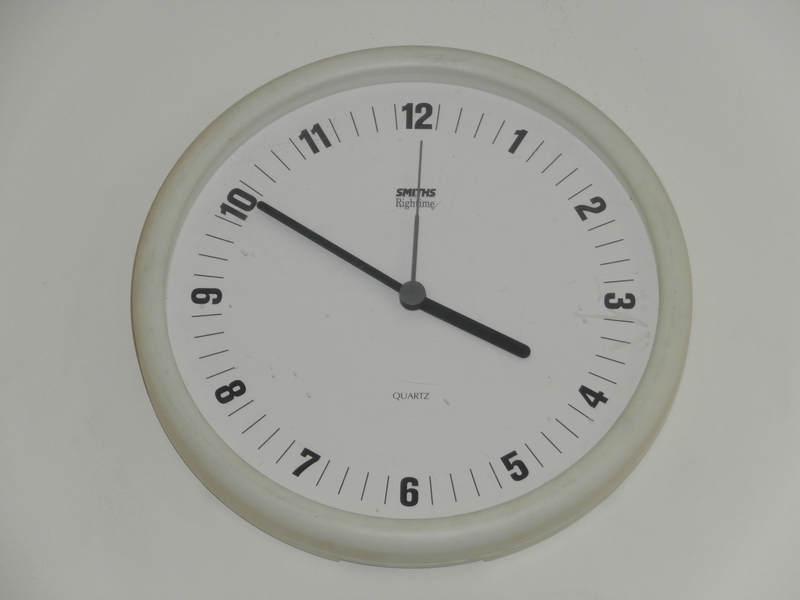 The average number of pages viewed per session was 2.65 and the average session duration was 3.21 minutes. That’s very pleasing. The bounce rate of 56.97% indicates nearly an even split between people accessing the site to view one page only and staying on it to view other items. Again, that’s really great news. Interestingly, this almost perfectly mirrors the percentage of returning vs new visitors to the site over the course of the year. Site user acquisition data calculated over the 365 day period. For any real geeks out there, you can see from the screenshot above that virtually the same percentage again (this time 56.5%) of site traffic has come from people directly accessing the site. In this data, social media access means Twitter & Facebook. The referrals are from both LinkedIn and the EWA website (Ellis Williams Architects). 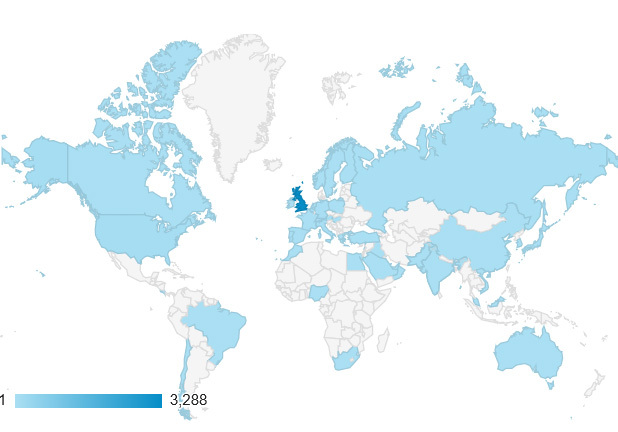 Site analytics of access from the sub-continents of the world. For me, the most fascinating bit is the geographical location data. As the above image shows, the site has been accessed from every sub-continent on the planet, bar two. So if you are ever planning a trip to either Central Africa or Central Asia, please do bear this in mind! 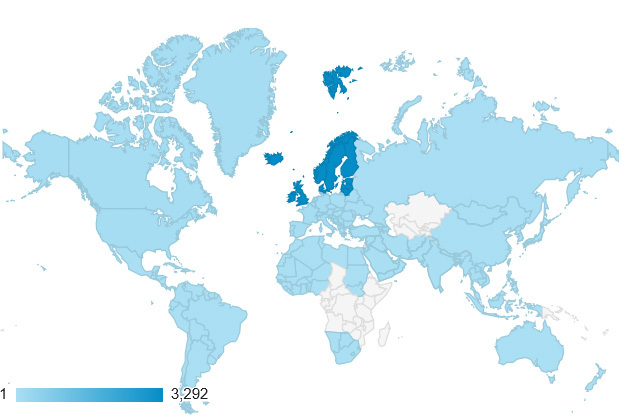 Stats showing countries where the blog was viewed last year. In total, churchchigh.me.uk was accessed from 48 different countries from 27th January 2016 to 27th January 2017, a fact which never ceases to amaze me. And in case you are wondering, we do filter out all spam referrals on a regular basis so this is pure data. Who would have thought the Church High/Newcastle High School influence would have become so widely disseminated across the world? The Top 10 countries for churchhigh.me.uk site traffic. As the table above shows, it won’t surprise anyone that the site is viewed most frequently from within the United Kingdom, nor perhaps also that it is regularly accessed from the USA. Although intrigued that Austria is third in the list, the presence in the Top 10 of both Russia and Saudi Arabia is not surprising at all, having taught two Russian students at Church High and knowing two ex-members of the Church High staff are now teaching in the Middle East. 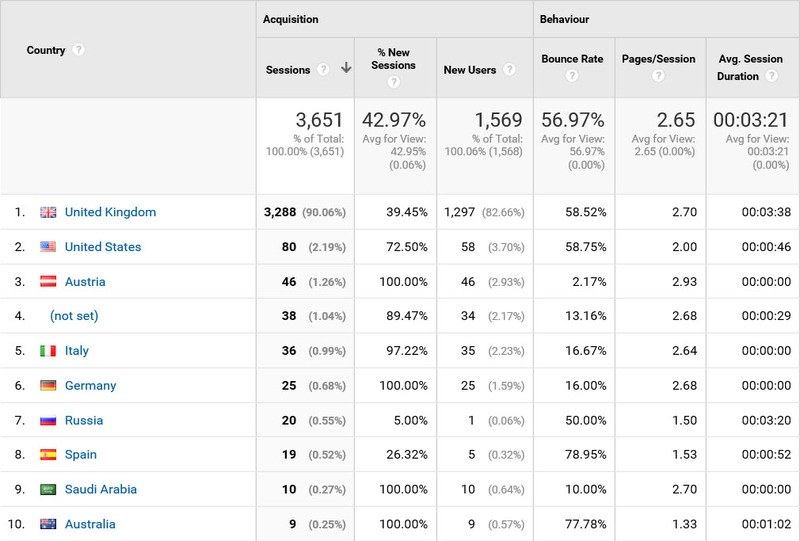 Stats showing the cities from which the blog has been viewed. Would you care to hazard a guess how many individual towns or cities the site has been viewed in over the course of the last year? The big blue circle on the data map above clearly shows Newcastle, followed by elsewhere in the UK and then Europe, as the main epicentre of site traffic, which won’t be a surprise to anyone. The total number of cities across the world is 306, however. Wow! So, ‘To blog or not to blog?’ was a no-brainer in the end. The important background information has now been spread all over the world. 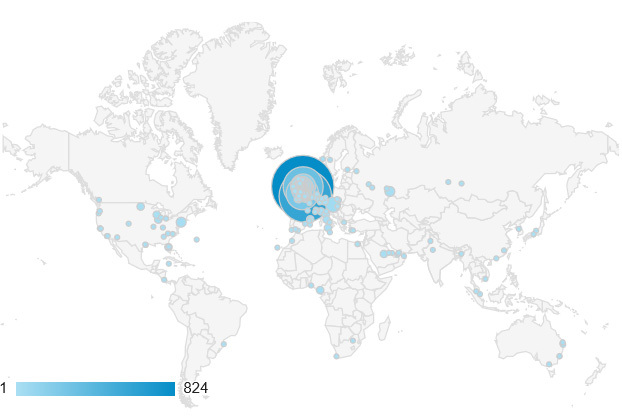 If you’re interested in detail, within the UK, after Newcastle, the blog is most frequently read in London. Then, in descending order: Sunderland, Birmingham, North Shields, Leeds, Gateshead & Durham. Yes, what a difference a year makes! I used to have a lot more time for myself before I became an historical blogger, but in lots of ways my life has become infinitely richer. I’ve also met and regained contact with lots and lots of really wonderful people. There is still some lingering sadness, of course, that will never go away, but it does feel like we are all on the way up again now. The reason for the two week gap between posts once again was because Newcastle High School for Girls has just had its first ISI Inspection. It ended on Thursday night when we were all fit to drop following hard upon, as it did, the School Production of ‘Westside Story’, our yearly Safe-guarding Audit and our 11+ Entrance Exam Weekend. And would you believe the lady who inspected my assembly taught for 10 years at The Francis Holland School? Talk about things coming full circle! I returned to the site after work on June 2nd, unable to keep away. Once again, there was no need to break my word because others knew how much it meant to me. Doorways. Gateways. Much the same thing. 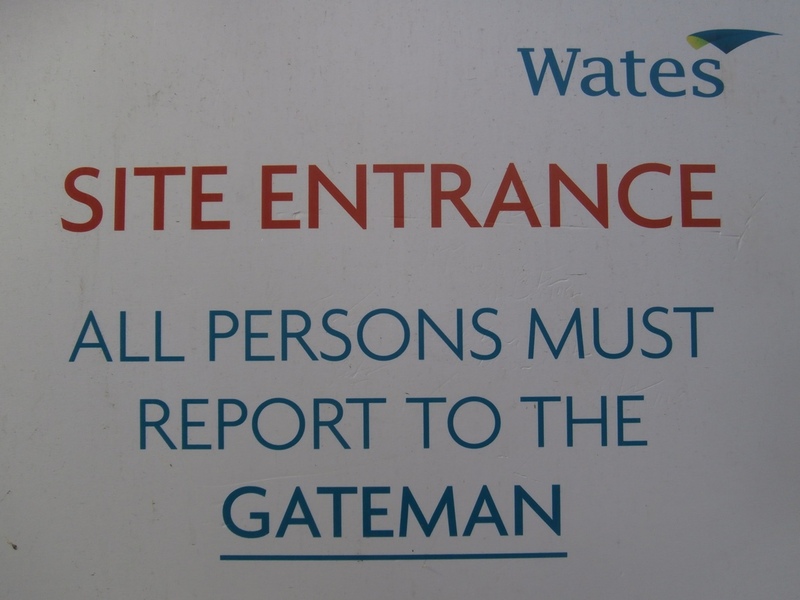 And the doorway to the site is the Gateman, of course. 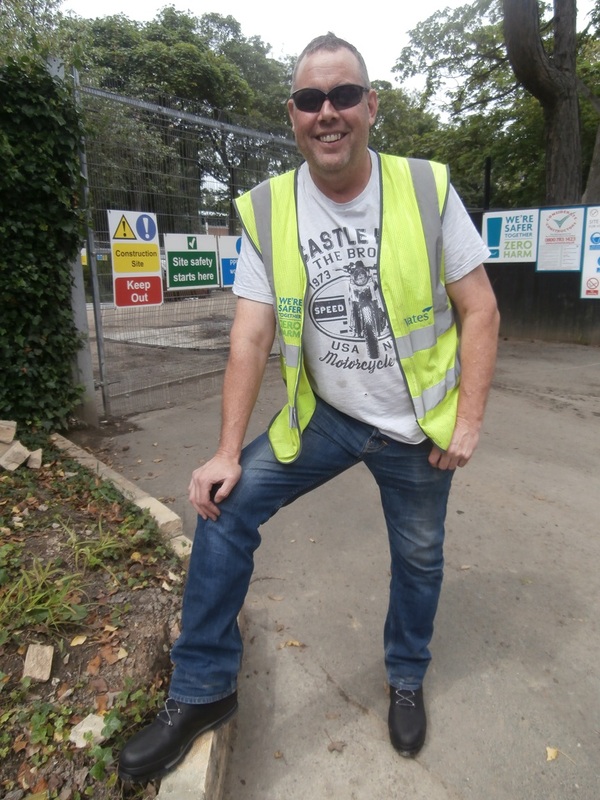 At the end of the day when the site was finally quiet, Peter, Wates’ Gateman, volunteered to act as my ‘undercover’ man number two. Peter Wilson poses with one foot on another brick wall breached that day. They kept rebuilding it, but those delivery lorries are big! 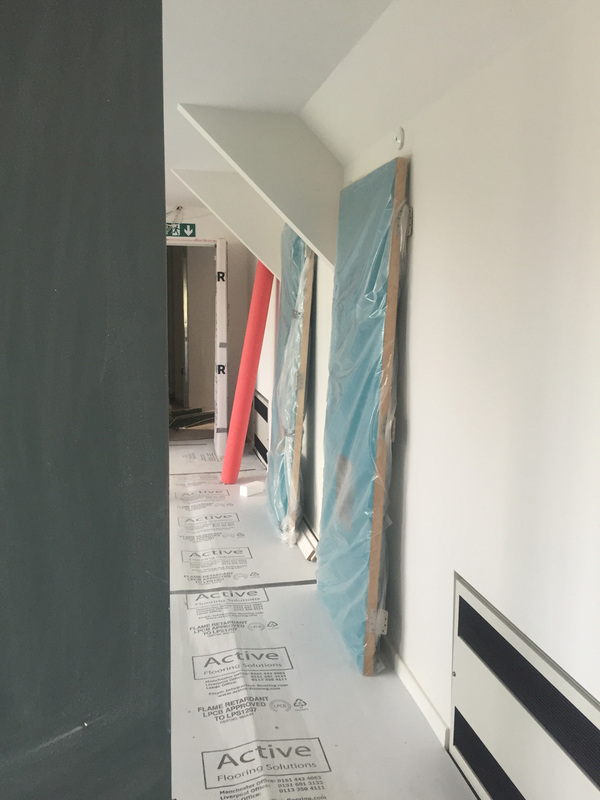 Doors, walls and floors were very much the theme that day on site. 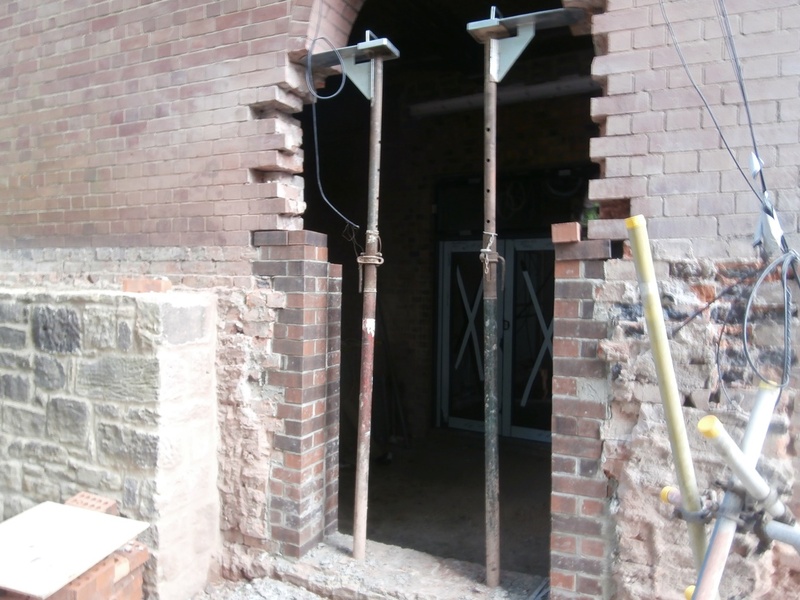 The first photo Peter took was to show how the work was advancing on a new side door for the Main Building. As you know, the original Newcastle High building had an entrance door in its north elevation. 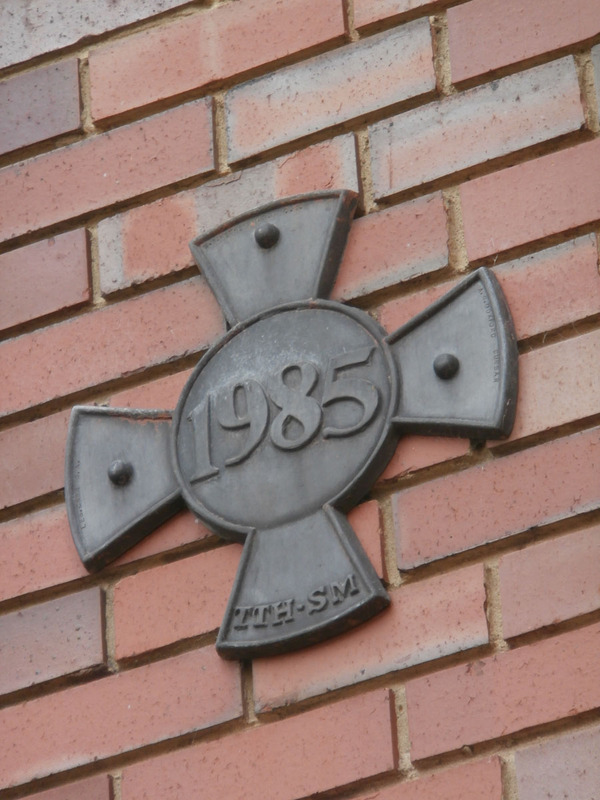 However, it was blocked up when the 1933 extension was added. 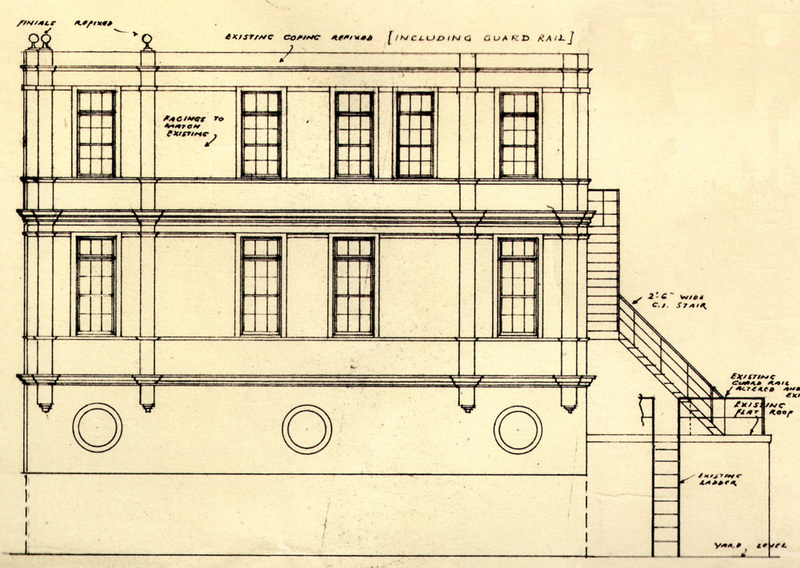 Oliver & Lesson’s original 1888 architect’s drawing of Newcastle High School’s north elevation (Tyne & Wear Museums). The three architectural ‘holes’ in the side brickwork were designed to allow light into the bin store (Proposed plans for the 1952 2nd Floor Library extension on top of the 1933 building work: Newcombe & Newcombe: Tyne & Wear Archives). 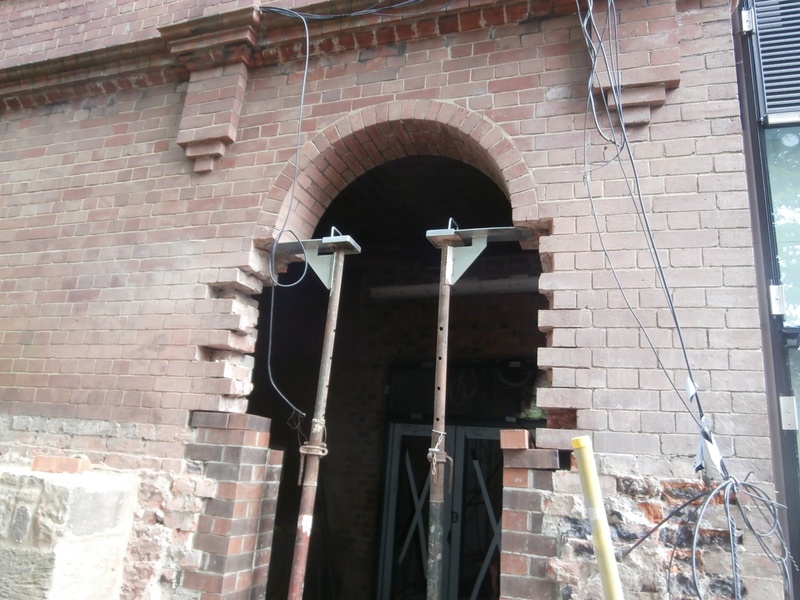 Clever architectural design from EWA means that the entrance porch for the new side door will now have a semi-circular arch above it like all the other doors in the old building. Peter’s photo of the original features retained at the other end of the bottom corridor, including the arched side doorway. Giuseppe’s photographs from that same day show us the work that was going on inside the new doorway too. 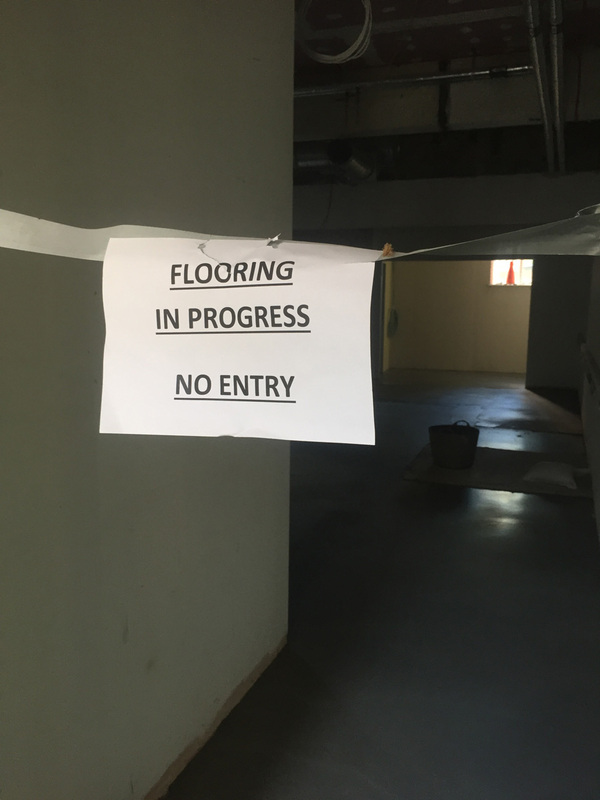 As seemed to be happening everywhere else in both buildings, flooring was in progress. 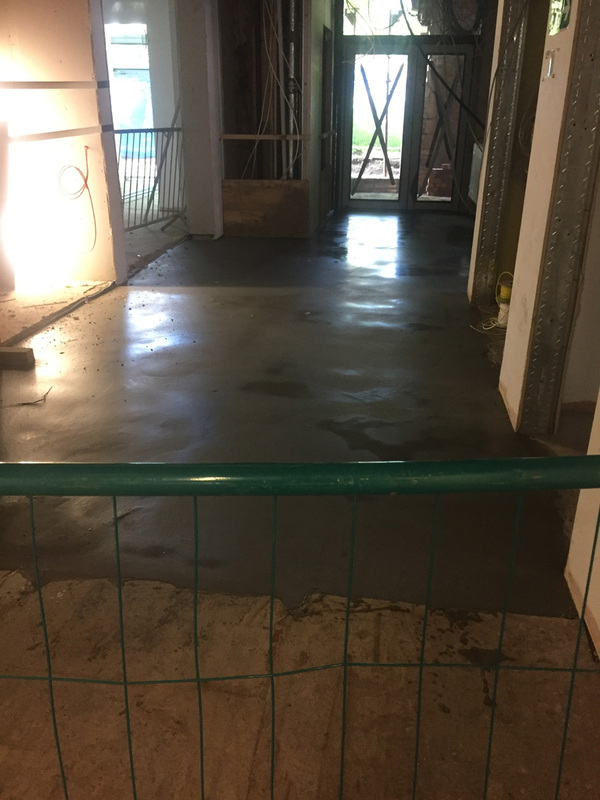 In the new building as well as at the end of the bottom corridor in the old building, Latexplan Trade levelling compound was being laid. New entrance doors had also been installed in the re-styled LRC too. 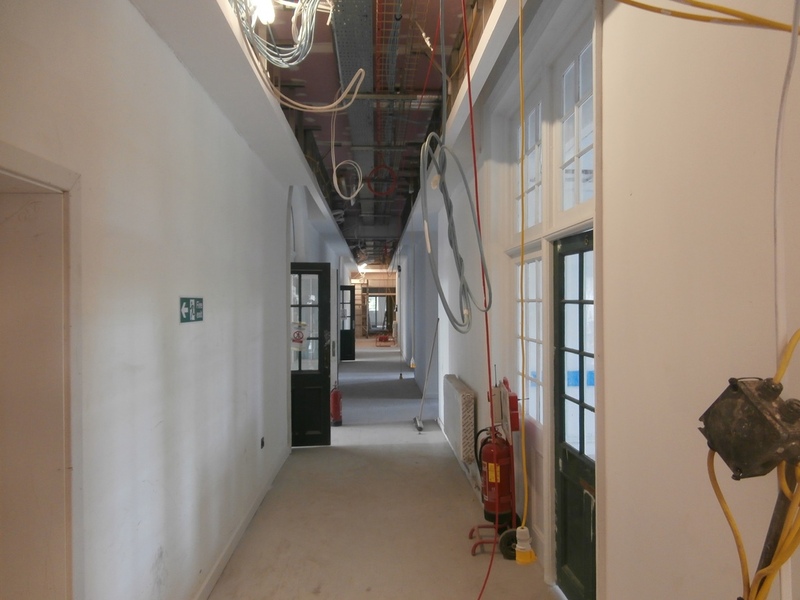 The new double doors in the much smaller one-level LRC will allow a smooth transition into the centre courtyard. 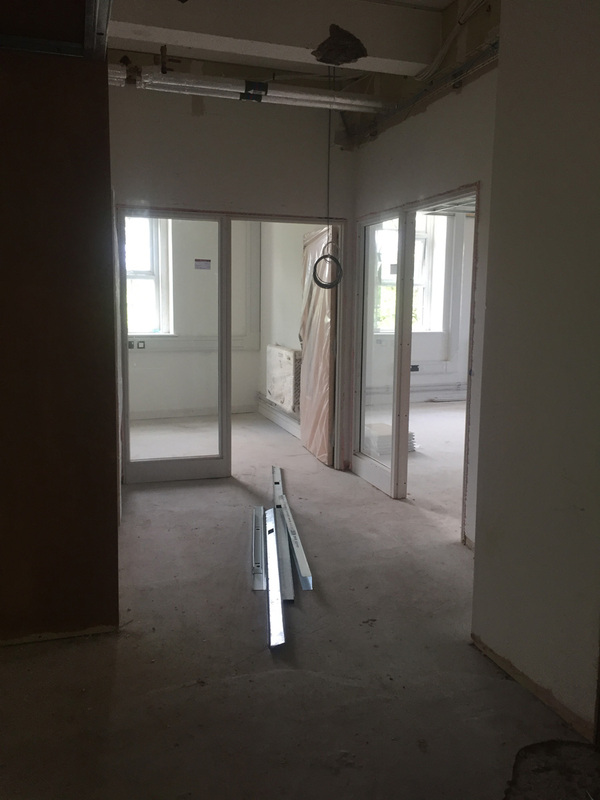 New interior doors had clearly been recently delivered and were now positioned all over the building ready for joiners to hang. Some of these doors were a pale wood such as the one waiting to be hung on what at the time was destined to be Michael Tippett’s Deputy Head’s Office at the north end of the first floor corridor. The room next to it would soon become Room 18 where I’m timetabled for all my lessons this year. 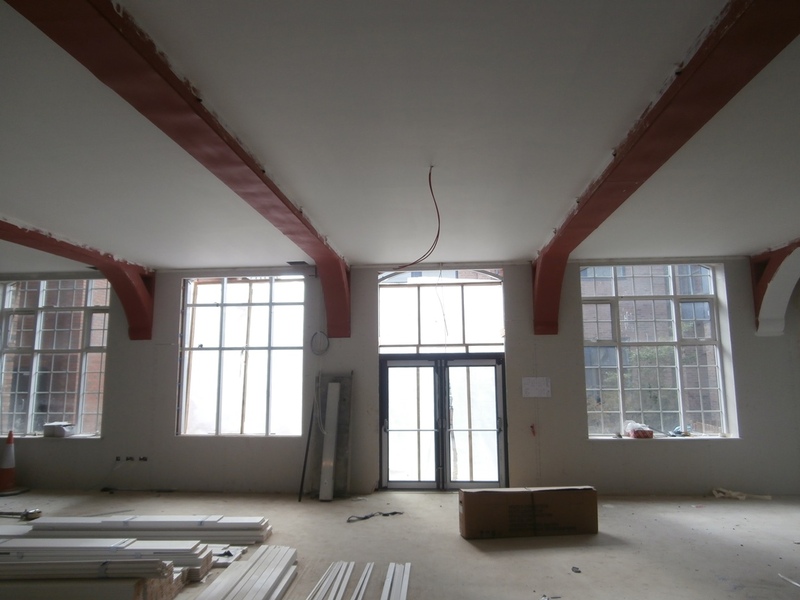 Both rooms have been formed from the north end of the social and working staffrooms. A good place for me to be. 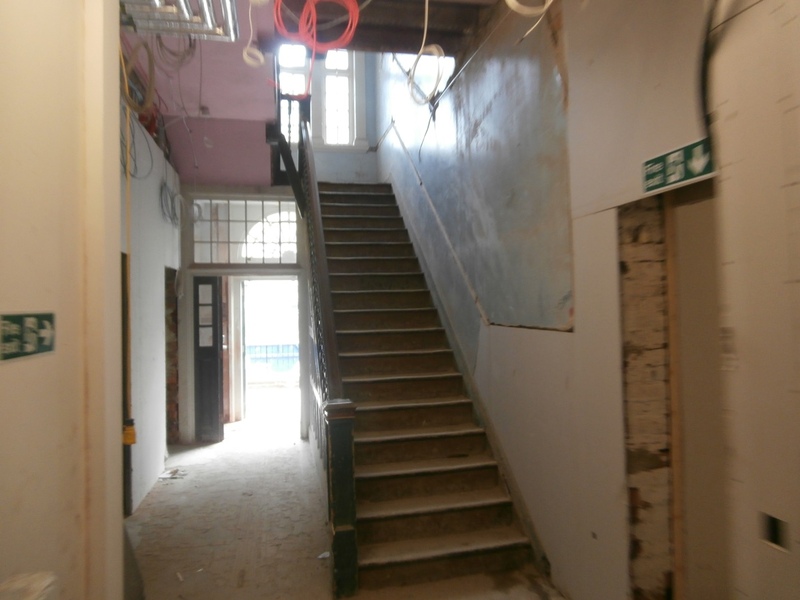 Once the north end of the staffroom and the old photocopying room, the room on the right will now be my teaching classroom at NHSG. 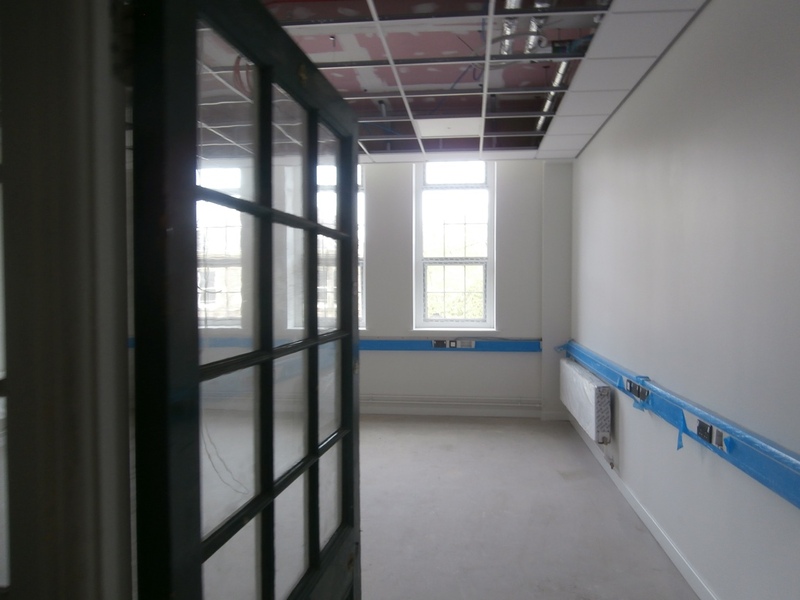 On the top corridor, which will now be the Sixth Form Library and study area, the doors propped up against the walls were teal green. Teal green doors will be fitted on the top floor. The area of the building which remains virtually unchanged is the first floor main corridor with its wonderful original woodwork. Even though nearly two years have now passed since we said goodbye to the building as Church High, those familiar doors are still dark green. The main corridor with those wonderful old doors remains virtually unchanged. Nice to see the doors are still dark green. As I’ve said before, the main changes on this corridor are the lack of Room 5, my old teaching classroom, and also the old north staircase. 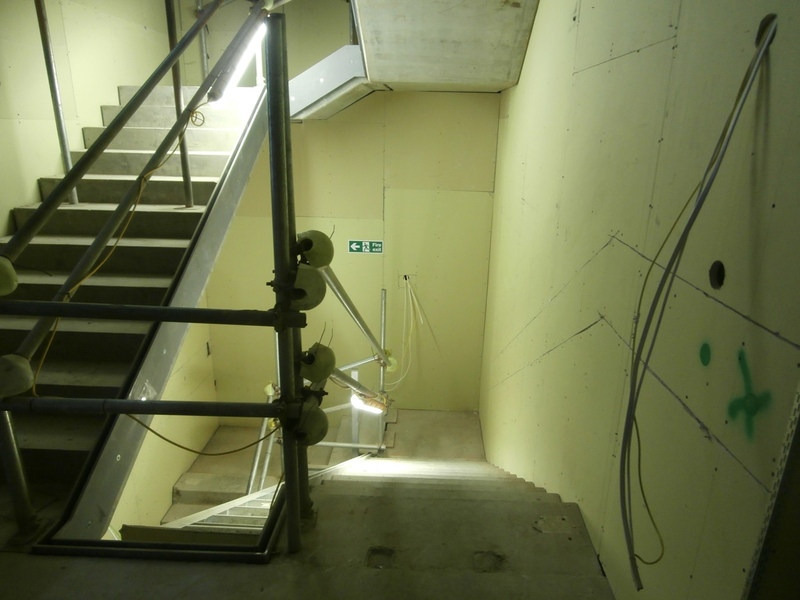 The stairs are now just off the north end of the main corridor to the left in the new infill extension. As Peter’s photos show, there is still clearly some work to be done there. It still looks like a building site! There is clearly still a lot of work to be done on the new stairs. But it did all get finished in time, of course. And since I am writing this post in January and its god Janus looks both backwards and forwards, I thought I would include a picture of the same view now. 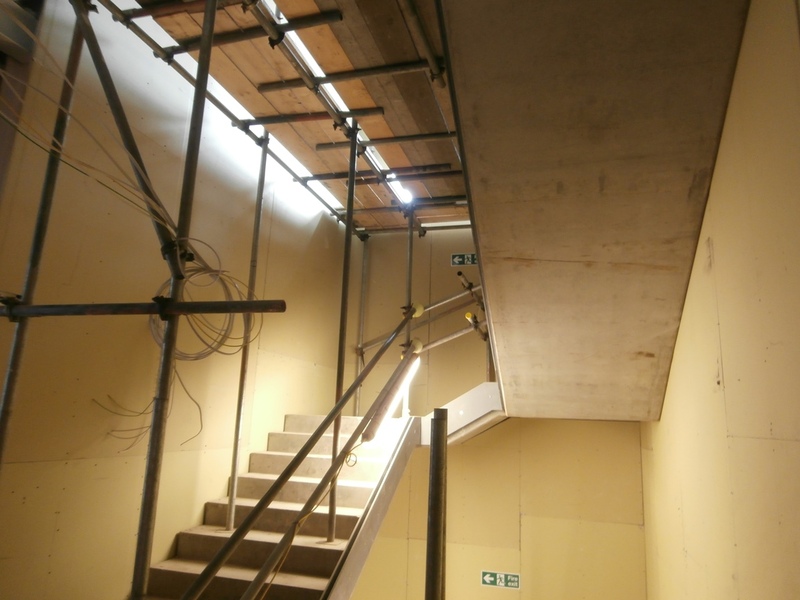 Six months down the line, the new north staircase on the last day before we broke up for Christmas. 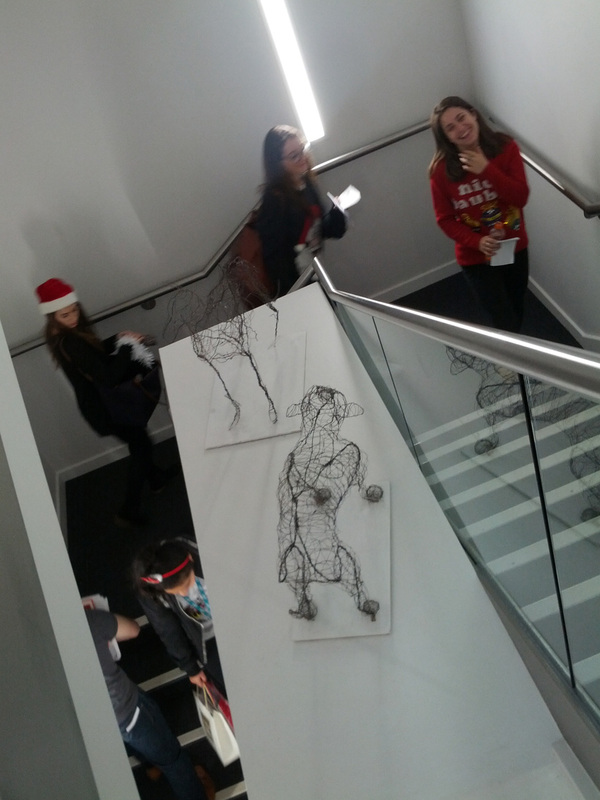 So nice to see Zoe Robinson’s wire sculptures around the building once again. And what was I doing all the time Peter wandered the building with my camera on June 2nd? 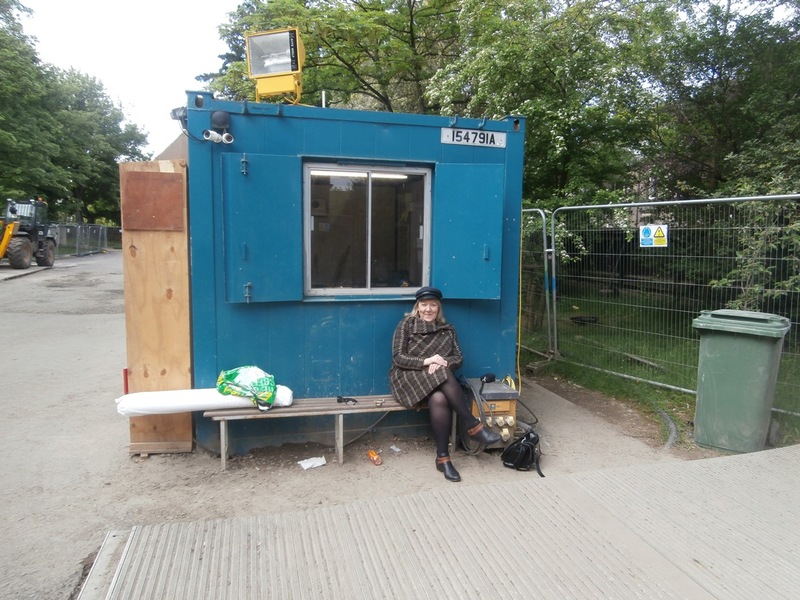 Well, I didn’t exactly build a willow-cabin at the gate, but, like Patience on a monument, I did spend the time happily enjoying all the greenery outside of Peter Wilson’s cabin. 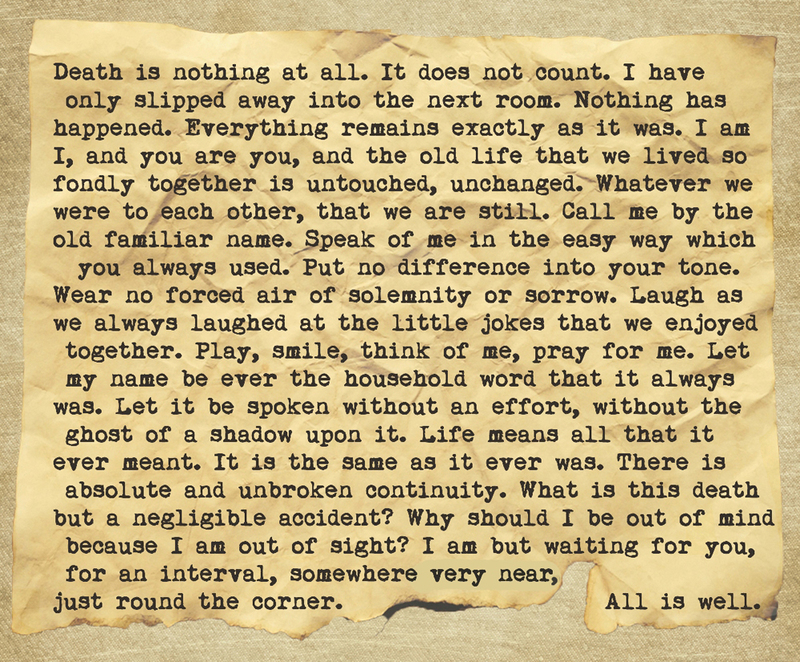 These profoundly healing words, which have brought solace to many suffering bereavement, were originally written as part of a sermon. Their great power comes from the light they shed on altered physical circumstance and the spiritual life, where ends just don’t exist – or at least are just the beginning of something else. 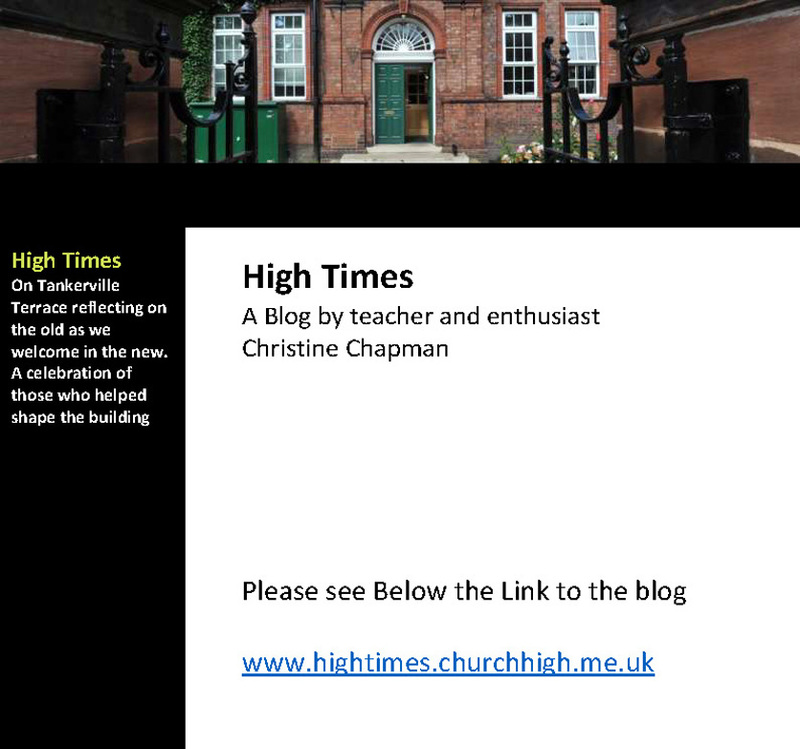 And there’s no escaping that the end of Church High affected many like a bereavement – and still does. I am one of those people. ‘Life goes on,’ but it’s more complex than that. The new beginning we shared in September 2016 has been helpful. Looking at things from the slant of a co-existing past and present might be pushing it for some, I know, but it has helped me. I still see the old faces and hear the old voices within those walls. Odder again, even older voices from the deeper past are now surfacing as I read more and more widely for this blog. Sometimes I have taken ‘wrong turns,’ but usually that has led me to a book or name I’d not have found otherwise. Wrong Turn: Canon Henry Scott Holland. What kind of wrong turns, you may ask? Well, like reading up on the ‘wrong’ Canon Holland for a start! 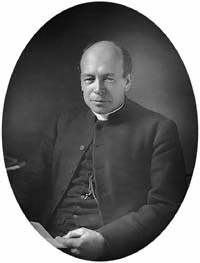 For at the very beginning of our story the voice we need to tune in to is not that of Canon Henry Scott Holland (despite being connected with St Pauls and knowing one of Gladstone’s daughters, the relevance of which will become clear to you later), but that of Canon Francis Holland of Canterbury. Our man: Canon Francis Holland of Canterbury. It would have been nice if one of our founding fathers had written those beautiful words (which is probably what beguiled me) but as I read more and more about Canon Henry’s wit and ‘puckish charm’, something wasn’t ringing true. Dare I say it? He didn’t sound ‘very Church High.’ Which is because, of course, he wasn’t! Quizzically, I returned to Enid Moberly Bell’s book and the penny finally dropped. Something else I had known all along but had forgotten that I knew. 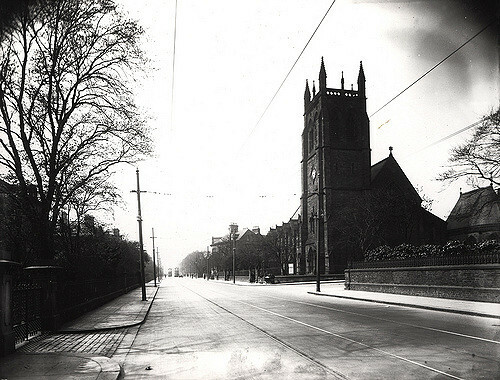 Jesmond Parish Church from Jesmond Road in the early 1900s, looking west. Newcastle High School’s first site was on the left, in the far distance, a little way further down the road. ‘…. and then after the service a meeting was held in the school. There Canon Holland, who had come as the representative of the Company, said that he thought that the Newcastle school stood first in interest of all the Company’s schools, for it was founded on what was already a good school. 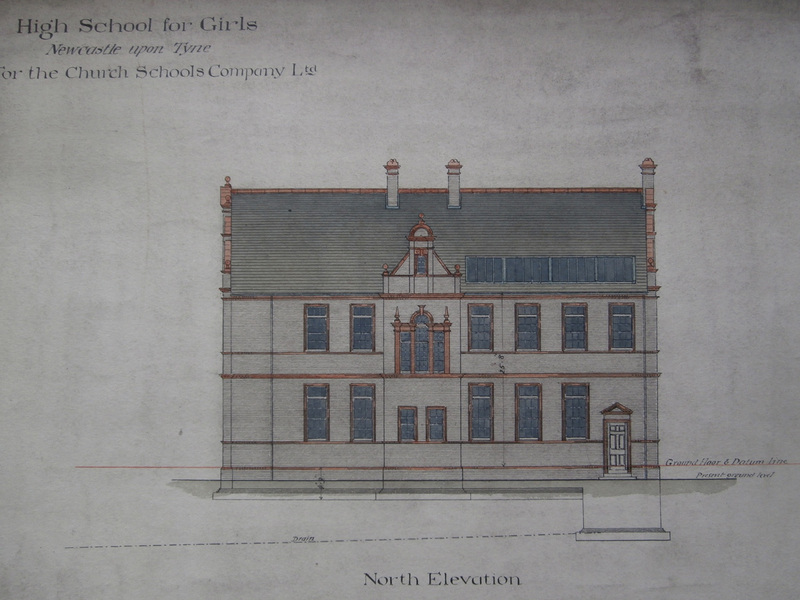 He emphasised that no rivalry with Gateshead was intended and promised on behalf of the Company that if the numbers increased the school should have new buildings.’ The meeting Canon Holland attended was, of course, held on the original site, in the building on Jesmond Road which had previously been Miss Hewison’s school. 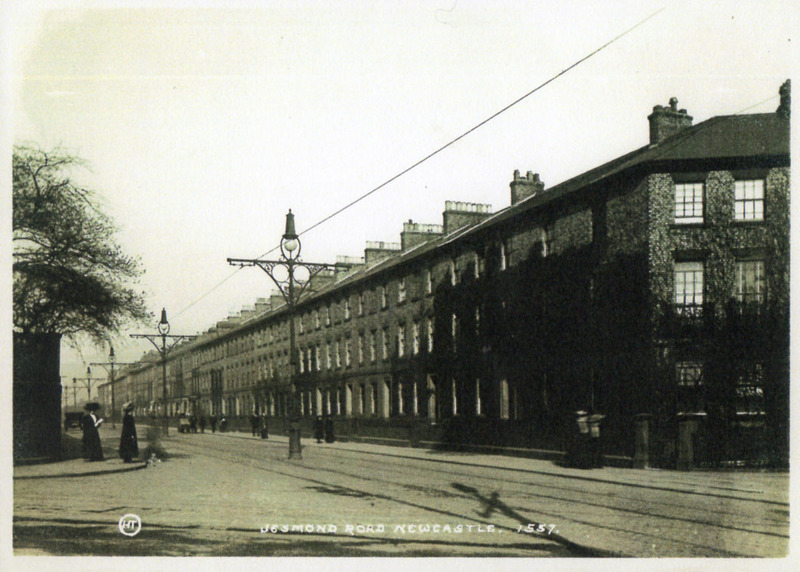 Jesmond Road in the early 1900s looking east: Newcastle High would have occupied the buildings in the far distance. Florence MacKenzie ends her section of the Jubilee Book with a glorious quotation, most apt for a New Year post: ‘The future comes from behind over our heads.’ Her point was that the School, ‘secure in what lies behind, can turn in equal faith and hope to the coming .. years.’ She couldn’t have dreamed at the time how true this would literally turn out to be, with the building becoming Newcastle High School for a second time in September 2016. In the same way, the future of the new school on Tankerville must surely be assured based on the past history of the founders of the original school. 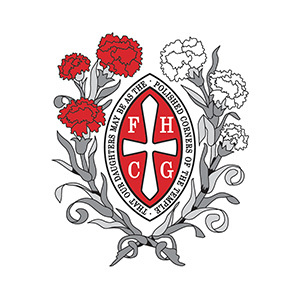 For Canon Francis Holland of Canterbury not only played a key role in the story of girls independent schools in this country, he also served as Chaplain to none other than HM Queen Victoria herself and as Hon. Chaplain to her heir, HM King Edward VII. Who could have imagined that? To use a very modern phrase, in the hands of Francis James Holland we were clearly in a very ‘safe pair of hands’ indeed! 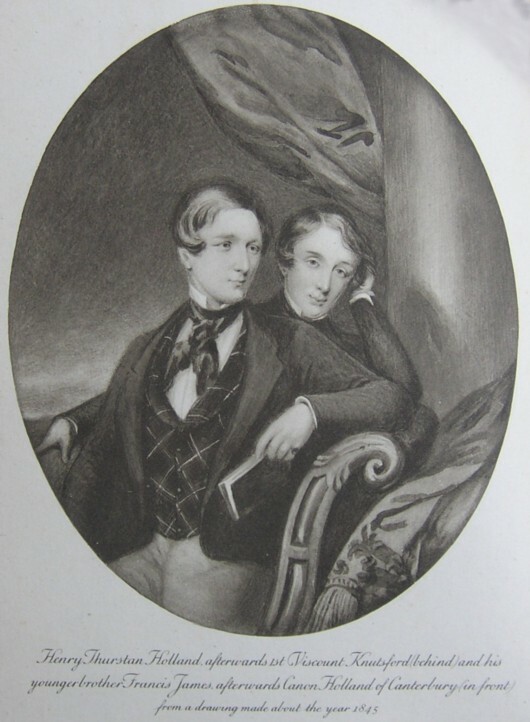 A young Francis James Holland (front) pictured with his elder brother in 1845. 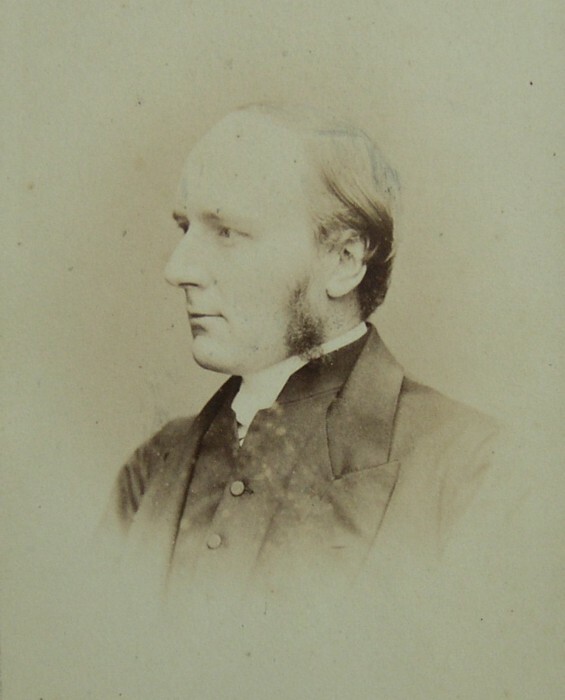 Francis Holland’s Wikipedia biography also tells us that c 1880 he ‘established a trust fund for two independent schools in London.’ To this day, these schools still survive in the vicinity of Sloane Square and Regent’s Park, London, as the Francis Holland School, boasting a highly impressive list of distinguished Alumnae. The Church Schools Company history explains that the Committee used these two schools as one of their guiding precedents, the other being the Girls Public Day School Trust: ‘One of its members, Francis Holland, priest-in-charge of what was then known as the Quebec Chapel, … had already ventured in this field. He had been moved to do this by his wife [Mary Sybilla Lyall], who deplored the fact that the Church, which had played so large a part in elementary education, was content to leave the higher branches to undenominational bodies [GPDST]. 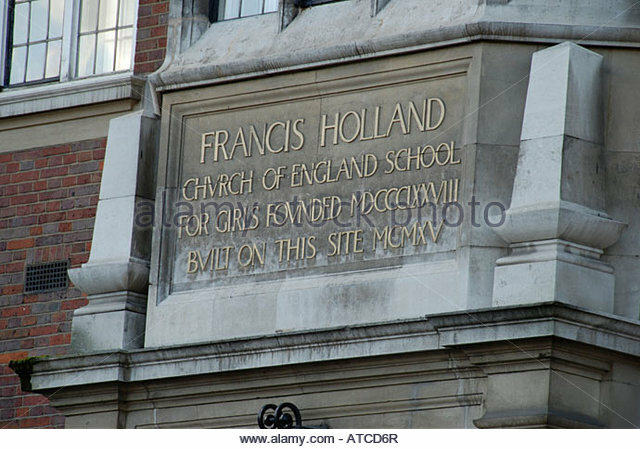 The Hollands had many neighbours and friends with children of school age, who encouraged Francis Holland to found a school for their children…. When the founder became Canon of Canterbury and left London, he still kept his interest in the schools, coming up to London every week to teach in them. In 1883 he gladly joined the Committee promoting the new company, and all his experience was at its service, but he did not incorporate his schools in the new company’. 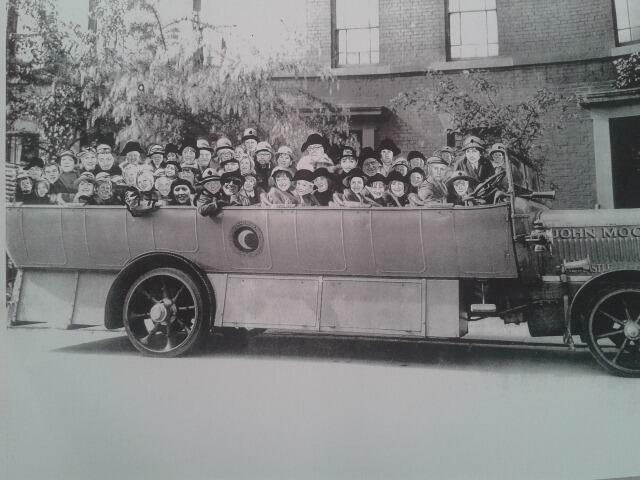 They remained as The Francis Holland Schools Trust.